The Baloch live in a vast territory the size of France boasting enormous reserves of gas, gold and copper, as well as untapped sources of oil and uranium, yet one that is criss-crossed by the borders of Pakistan, Iran and Afghanistan. “Parliamentary politics is not an option for us so we’re forced to make politics with weapons,” Khair Bux Marri, the tribal leader widely perceived as the godfather of the Baloch insurgency, told this reporter during an interview conducted back in 2009. Marri died last year. His son, Balaach Marri, led the Balochistan Liberation Army from 2000 until his assassination in 2007. Balaach’s portrait, wearing a Baloch cap and holding an assault rifle, is almost ubiquitous in Baloch bazaar stalls and shops across Pakistan’s southernmost province. Pakistan claims that the BLA leadership is held today by Balaach’s brother Hyrbyair Marri, who is living in London after being granted political asylum in the U.K. A British jury cleared Hyrbyair of terror charges in 2009. Khan said that the BLA hosts 25 camps in Pakistan’s Balochistan region, and that they also rely on “many other units conducting guerrilla warfare in urban areas. Among other operations, BLA claimed responsibility for the destruction, in June 2013, of the house where Muhammad Ali Jinnah – Pakistan’s founder – spent his last days, as well as for the killing of 13 bus passengers in August 2013. “Initially we arrested 25 people but finally executed 13 after we found out they belonged to the security forces,” commander Baloch Khan told The Diplomat. BLA’s last attack took place in May this year, when an improvised explosive device hit the convoy in which Mamnoon Hussain, son of Pakistan’s president, was travelling. Hussain escaped unhurt. After the 2006 military operation that killed 79-year-old tribal leader, Nawab Akbar Bugti in his mountain hideout, his grandson, Brahamdagh Bugti, led the Balochistan Republican Party for several years from Afghanistan until he moved to Geneva in 2010, where he applied for political asylum. Pakistan sticks to the narrative that the BRP is the political wing of the armed Balochistan Republican Army. BRP central spokesman Sher Mohamad Bugti told The Diplomat that theirs is “a political party working on the surface that has no relation of any kind with the BRA.” The latter flexed its muscles last January after a bomb attack against electricity infrastructure that left 140 million people without power across Pakistan. Mainly based in Balochistan´s southernmost Makran region, the Balochistan Liberation Front is also among the most active Baloch armed groups. It’s led by Dr Allah Nazar, a former student leader and gynaecologist who is the only high profile Baloch insurgent commander currently fighting on the ground. On April 11, his men killed 20 labourers in Turbat. In a phone call, Nazar told The Diplomat that the targets were members of the Frontier Works Organization, a body linked to the Pakistani army. Nazar insisted that those killed were working on the highway road to Gwadar’s deep water port, a multi-billion dollar investment in the China-Pakistan Economic Corridor, which the Baloch fear may alter the fragile demographic balance in the region by attracting foreign workers while local families are displaced. The senior commander called on “all those multinationals trying to settle and steal the resources of Balochistan on behalf of colonial empires” to cease their activities. On May 29, militants opened fire on kidnapped passengers in Balochistan’s Mastung area, killing 22, all of them unarmed Pashtun. The attack was allegedly claimed by the United Baloch Army, a BLA splinter group. Both the BLA and the BRA staunchly condemned the attack through social media and press releases. 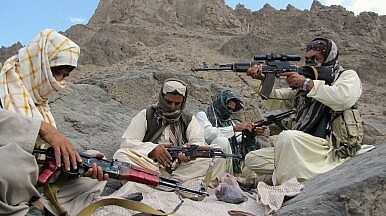 Lashkar-e-Balochistan is strategically deployed in central Balochistan. The armed movement is reportedly linked to the Mengal tribe, but they have remained silent over the last years, their last attack being two bomb blasts in Lahore and Karachi in 2012. Very little is still known about the Baloch Republican Guard, one of the last groups to appear on stage. Allegedly operating on the border with neighbouring Sindh province, last April BRG militants claimed responsibility for a bomb attack aimed at security personnel which killed four people. Malik Siraj Akbar, a Balochistan analyst based in Washington DC told The Diplomat that tribal loyalties among the insurgents have progressively diminished over the years. “Back in the 1970s a Baloch insurgent would mostly be someone who was loyal to his tribal chief and doing what his tribal boss had asked him to do. Today are many educated young boys from middle class families,” Akbar ensured. “Since some of the organizations operate in certain geographical locations, they are likely to have the majority of their activists from the tribes that are in majority in that area. BRA is likely to have more Bugtis than the BLA while LeB is more likely to have more Mengals as compared to other organizations. However, today there is a lot more cross participation than in the past,” the young analyst stressed. Akbar, however, pointed to “big strategic blunders” committed by the Baloch armed movement, such as killing fellow Baloch and non-Baloch settlers, and launching attacks against Sindhi and Pashtun citizens. “The insurgents justify such attacks by saying the victim was a government ‘spy’ or a ‘traitor’ of the Baloch movement,” noted Akbar. The Baloch analyst was also blunt about the militants’ achievements. Karlos Zurutuza is a freelance correspondent.